John Sheridan faces a dilemma on the left side of his defence as Oldham prepare to host high-flying Bolton. Chris Taylor is ineligible due to the conditions of his loan deal, while Rob Hunt has been ruled out for the season with a groin injury. Jamie Reckord has been out of favour, leaving Tope Obadeyi as the likely replacement, although Ryan Flynn is also a possibility. Lee Croft is hoping for a recall after failing to appear since being sent off in early March, while Jamie Stott is pushing for a senior debut after returning from a loan spell at Curzon Ashton. 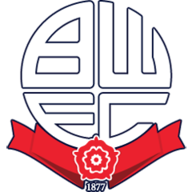 Gary Madine and Andy Taylor are in contention to return for Bolton as they travel to Boundary Park. Madine missed the defeat at Scunthorpe with a shoulder problem, while a calf tear has kept Taylor out of the side for a couple of weeks. Phil Parkinson is being cautious with the duo, but is likely to include them in the 18-man squad as the Whites look to secure a return to the Championship. 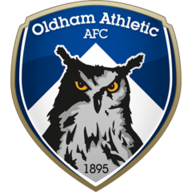 Victory against Oldham and Bury on Tuesday night would seal promotion for Parkinson's men.